Pieced and/or appliquéd. Category not determined by size alone. 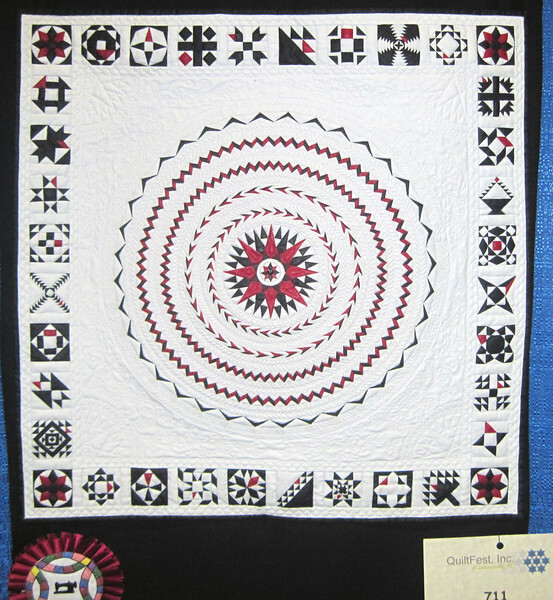 Must by a small version of a full-sized quilt or wall hanging. Maximum block size is 5” and the longest side of the quilt must be no more than 30”.